Sign in: Have an iTranscript account? How To Overcome The Media Transcription Challenges? Media Transcription is a challenge we love taking on! What can be challenging about media transcription. Everything! Though Transcriptionstar handles every transcription request we receive, as an opportunity and a challenge to look forward to, a special mention has to be made about our media transcribing requests. The needs and specifications change with every project, every call we receive, for media transcription services. The transcribing guidelines and the expectations of our clients are pretty much the same when it comes to business or academic transcription. Media transcription is a whole new ballgame altogether. Production studios are in all probability the busiest and most chaotic places on earth. There was a project we received this summer from a studio based in Los Angeles. Kevin, the production head of the firm sounded hassled, and a wee bit doubtful when he got in touch with us. He came with a long list of specifications and needed a time stamped transcript of an interview between 2 people. We had to work with the client's template and identify the number of the tape, the show, the time, and the full name and abbreviation of the names of the speakers. We had to follow the timecode on the video and as the clips were in the mov format, and quite large, we had to ensure that no file got lost in transition! And like many media production firms they were comfortable with cyberduck. 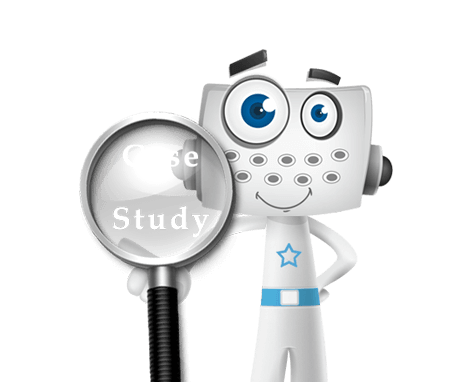 He was, as with most first time clients, apprehensive if we could provide a transcript according to his specifications. Transcriptionstar prides itself in being totally tuned in to our clients needs. We were more than comfortable receiving and transmitting files using cyberduck. We worked with the template followed by the client and made sure every tiny detail was followed. We reverted with an accurately time stamped transcript of the interview at a turnaround time that pleasantly surprised our client. Transcriptionstar is the resident transcription firm of the media firm, and we handle all their time coding, transcribing, subtitling and captioning needs. And Kevin has become the unofficial ambassador for brand Transcriptionstar. We delivered a precise, speaker identified, verbatim transcript to Travis within a week and now transcribe all the Click here to open this file in a PDF format or right click to save this file.